Every month we recognise the achievements and progress of our students by awarding one lucky student the title of SketchUp Hub Star. To be considered you must post your work in our Facebook Group and tag us on Instagram. It can be a work in progress, a huge win you’ve experienced after encountering learning obstacles or a completed plan or drawing that you’re super proud of. All of the student work posted/tagged in that month will be considered and one student will have his/her work featured on our website and will be allowed to choose ANY 3D model from our online shop to use in their SketchUp projects. Pretty cool, huh?! 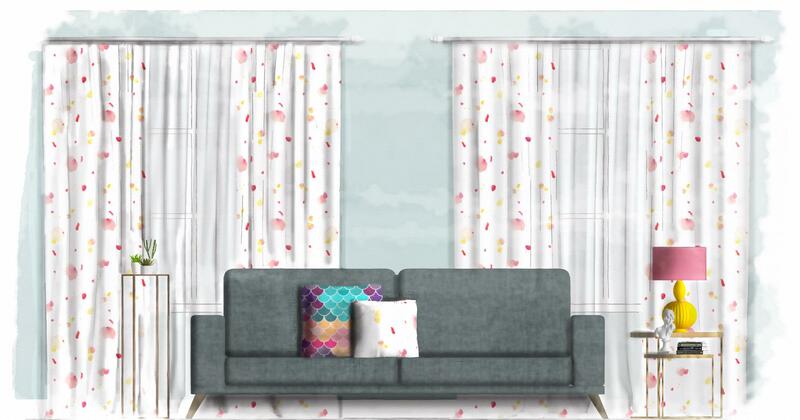 For the month of March we have chosen this watercolour illustration of a window treatment elevation created by Interior Designer and SketchUp Hub student, Elena Brooking. 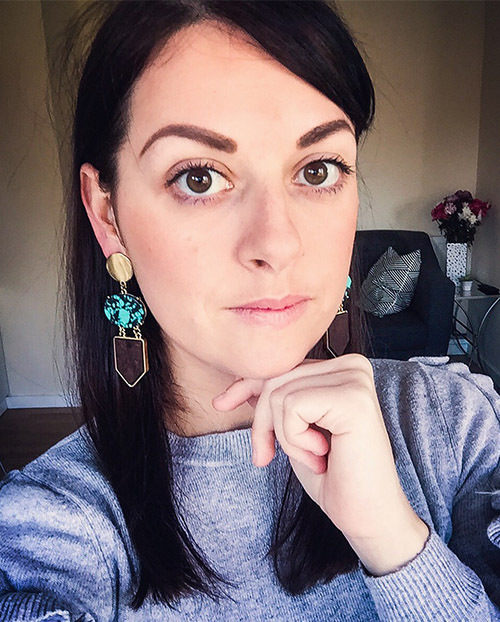 Elena signed up to our SketchUp Bundle course in March 2019 and from the early stages of her learning, Elena demonstrated a natural aptitude for SketchUp and image editing software. Elena took on board our constructive feedback after producing her initial watercolour render, and created a much superior result (above) making fantastic use of the SketchUp/Photoshop tools and rendering techniques we teach in courses #5 Creating a Window Treatment Elevation and #7 Rendering Floor Plans & Elevations. She has also shown excellent application of a seamless texture (curtains) and her watercolour effect is flawless, with gentle watermarks and whimsical bleeding at the edges. We were very impressed! I have been passionate about Interior Design since I was a child, helping my Mum and Dad design all the homes we have lived in. Which professional Interior Designer in the industry inspires you? I admire Sophie Robinson and Kelly Hoppen, there’s so much to learn from them, in terms of both design and the business side of things. If you could, what would you like to change about the Interior Design industry today? I work exclusively with animal free interiors, so if I could change something in our industry I would make this much more mainstream. What have you enjoyed the most about your SketchUp Hub learning? I enjoyed all the SketchUp Hub courses and obviously the creative parts of rendering. However, improving my skills in areas where I felt I needed further development has been extremely worthwhile and has boosted my confidence. Thanks to this course I am ready for anything! This is Elena, our SketchUp Hub Star for March! Elena chose the sphere and stem ceiling light 3D model because it’s very on trend at the minute and could be used in a wide range of interior design schemes. This modern ceiling light (or contemporary chandelier) focuses on form and balanced design. White globes mixed with brass stems provide a lighting solution with high visual impact. This ceiling light would look amazing in many different spaces, particularly living rooms, dining rooms and bedrooms. Click on the relevant image below to view the Sphere & Stem ceiling light 3D model. We have included other 3D models that might be of interest.